Heeft u een vraag voor Kanip Aw Pines View Lodge? 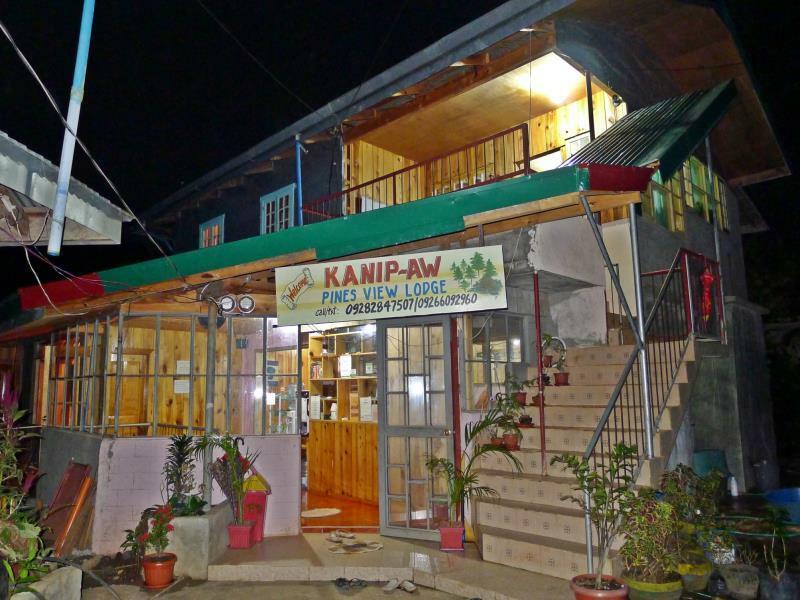 Een kwaliteitsaccommodatie voor wie geïnteresseerd is in bezichtiging van bezienswaardigheden, cultuur: het Kanip Aw Pines View Lodge in Sagada is een prima adres voor zowel zakelijke reizigers als toeristen. Het levendige stadscentrum is slechts 0.750 km verwijderd. Dankzij de praktische locatie liggen alle belangrijke trekpleisters in de buurt van het hotel. Het Kanip Aw Pines View Lodge biedt gasten superieure dienstverlening plus een breed scala aan voorzieningen en is toegewijd om uw verblijf zo comfortabel als mogelijk te maken. Het hotel biedt wi-fi in openbare ruimtes, verkoopautomaat, gezamenlijke lounge/tv-ruimte om gasten een maximaal comfort te garanderen. Hotelkamers zijn zorgvuldig ingericht om het hoogste niveau van comfort te bereiken, met rookvrije kamers, bureau, balkon/terras, douche, zitgedeelte in iedere kamer. Daarnaast garanderen de talrijke recreatieve mogelijkheden dat u zich tijdens uw verblijf kunt vermaken in het hotel. Fantastische faciliteiten en een uitstekende locatie maken het Kanip Aw Pines View Lodge de perfecte uitvalsbasis om van uw verblijf in Sagada te genieten. Kanip aw pines view is een aanrader om te verblijven tijdens je verblijf in Sagada. Het personeel is erg vriendelijk en zal er alles aan doen je verblijf zo aangenaam mogelijk te maken. Kamer was groot en schoon, er zaten s'avonds alleen steeds insecten binnen. Badkamer en wc bevind zich op het balkon. Ligging is gunstig, vlakbij de grotten. Tip: ga ontbijten bij the Yoghurt house. A little walk off the main road, but it offers a respite from the tourists of Sagada. The view from the room is worth the short walk. Staff is very accommodating. There's a water dispenser in the common area so you can minimize single-use plastic bottles. Wifi is sometimes unreliable. Because it's not in the middle of town, I find Kanip-Aw a very relaxing place to stay in. The staff was very kind and accomodating. You can even cook your own food if you're too lazy to go out to eat at a resto. perfect location. the view from our balcony was excellent. our room was clean and spacious. the path going to the lodge was very uphill and rocky but not really a big deal for us. on our first night, there was water interruption in our bathroom and we were not advised so we could have filled our pail with water. we had to call them in the morning to resume our water supply. turned out that they turned our water off by mistake so we spent the night without water from the faucet. overall, our stay was still good in spite of that. The room is great as this is big enough though it's weird coz the door is a transparent glass which is being covered by a curtain and you need to go up/down 3 full flights of stairs --- good exercise! ;-). Overall, the room is great and their water heater works perfectly well. As for the location, takes about 15-20 minutes walk toward the tourism office. I had a great stay. The view is really nice from the room. The Wi-Fi comes and goes, so really so-so would be a fair statement. I found the staff very rigid. Check-out is already 11AM, and I asked for a very small extension of 20 min or half an hour. They showed absolutely no flexibility even a lot of rooms were clearly empty and not a single new guest in sight. I could understand if I was asking for 5-6 hours, but so short time. Anyway, I managed to leave on time, so I guess they can now say they strictly enforced their 11AM check-out rules. In my mind with small courtesy and hospitality one come a long way in the hospitality sector. Anyway, their call of course, so I will let the reader be the judge. Otherwise it was OK and all right value for money. Awesome place. Stayed in a private room for 2. Very clean, with a balcony with a view. Friendly staff, also arranged all the tours. Only downside is that it's a 15' walk downhill from the centre. Didn't get a reply when I texted if there's a parking space for a sedan but overall the place is good. I went in Sagada with my best friend and we stayed at Kanip-Aw Pines View Lodge. I recommend this place for those who's looking for an affordable, clean, and peaceful place to sleep in Sagada. It's quite far from the busy main street and may take 10-20 minutes of uphill/downhill walk. Staff are friendly and the amenities are basic. They have a kitchen you can use too. Its our first time to visit Sagada and we choose Kanip Aw Pines View Lodge because of good reviews. It gave us the feels of “home away from home”. Kuya Oscar who is very accommodating at the very start, he will help you to do your itinerary especially on looking for the best tour package. Definitely we will visit Sagada again and we will still choose Kanip Aw Pines View Lodge for our stay. This Place is Highly Commended!! Parking space is going to be a problem. If you also have other guests who cannot adhere to house rules of quiet time schedule and non smoking signs, then its also going to be a problem. WIFI is also not good if you have multiple devices. There is also no hot water available. I went here for 6 days with my best friend in Peace Corps and we had an excellent experience. The family-owned lodge is extremely clean and the owners are so friendly and helpful. It's a bit of a walk from the town center but honestly it wasn't a big deal at all for us since we don't mind the extra exercise. Wifi works well in the common room and the lodge is right near some of the best places to eat in Sagada (Gaia Cafe is 15 min away, Sagada Brew 5 min, and Shamrock is 2 min). Would absolutely recommend to everyone! If you're looking for a budget-friendly yet decent and clean accommodation in Sagada, THIS IS THE RIGHT ONE FOR YOU. 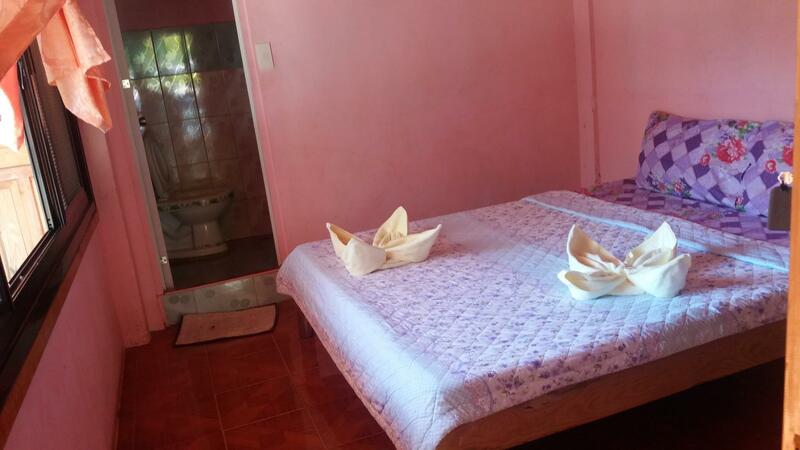 These are the advantages of the property: - nice and working water heater (badly needed for the cold weather) - clean and spacious room and OWN bathroom - affordable - free and unlimited mineral water (hot and cold) - hospitable and helpful staff - located few blocks from the tourism office - close to almost all restaurants - a bakery offering the best Sagada bread is located in front I'm definitely recommending this property. The room is big enough for 2 and the location is outstanding - it has a perfect view of the Echo Valley and is just 10minutes walk away the Tourism Office. It is 2-3 minutes walk from Sagada Lemon Pie House. Overall it is Perfect!